The chart area contains all components. 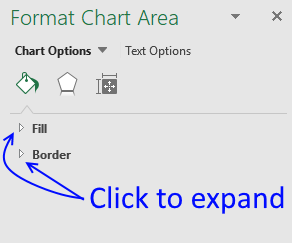 If you choose to format the chart area you can change things like border, shadow, background color etc. 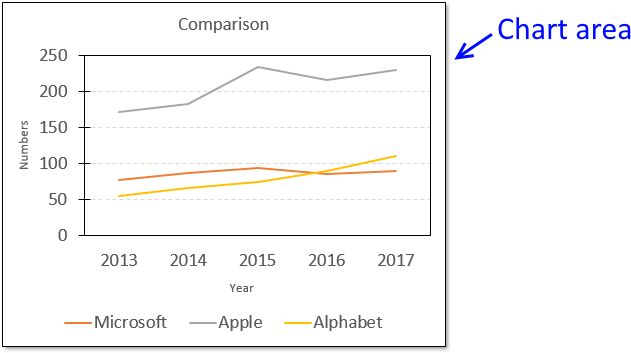 For example, the picture above shows you a black line around the chart area and a shadow applied to the chart. 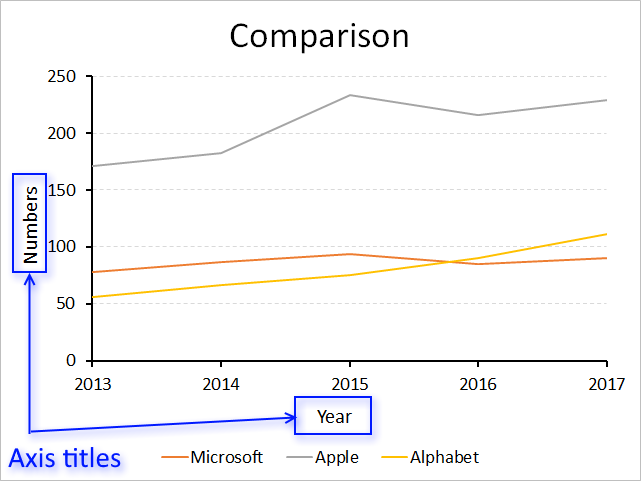 To format the chart area simply right click on the chart and then click on "Format Chart Area". 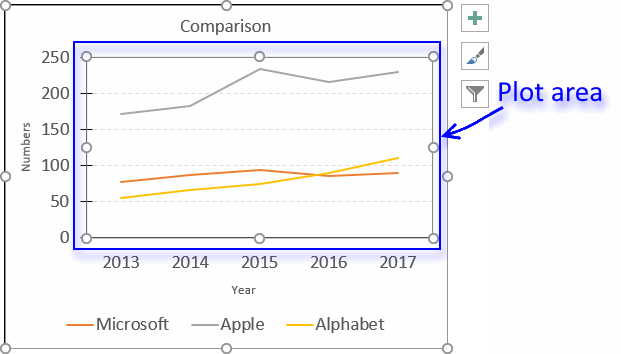 The "Format Chart Area" pane has three different tabs, see picture below. 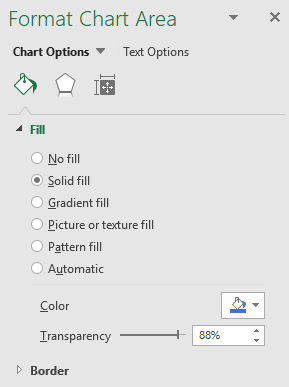 The "Fill & Line" tab has two settings, Fill and border. Click on the arrows to expand all settings. 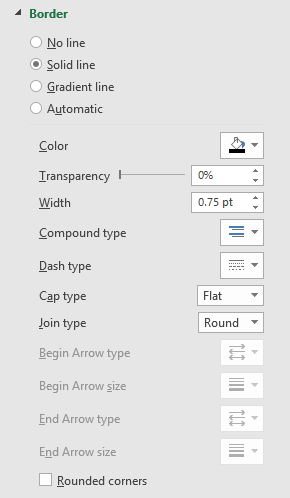 The "Fill" settings allow you to change the background color, gradient or use a background picture. 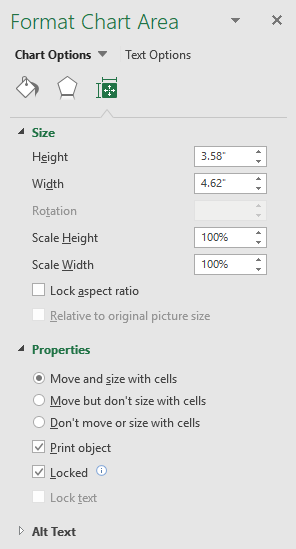 The "Border" settings let you change the border size, color, line properties etc. 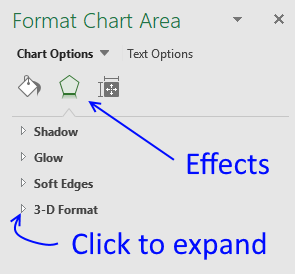 The Effects tab allows you to apply and customize shadows, glow, soft edges and a 3d-effect to your chart. 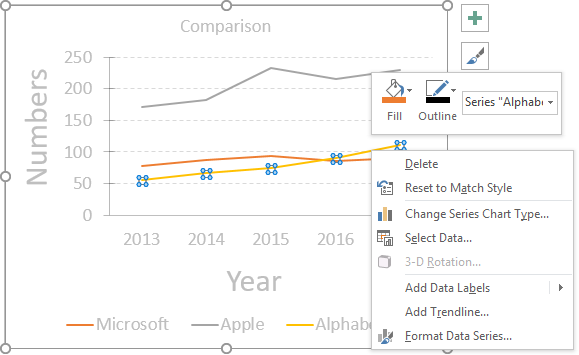 The size and properties tab lets you change the chart size and if the chart should move and size with cells.